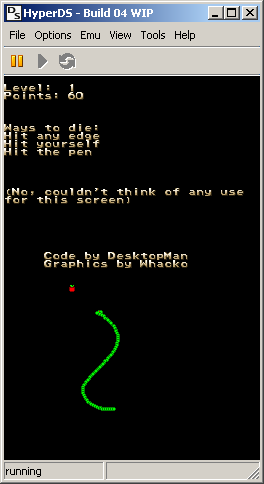 People wanted a game that actually used the touchscreen for something useful, so here it is. Quite fun if I can say so myself. Runs on hardware (new hijack method for those of you with hardware), also runs in hyperds and dualis.